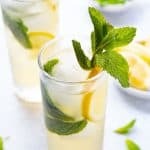 So refreshing and light I could eat it every night! 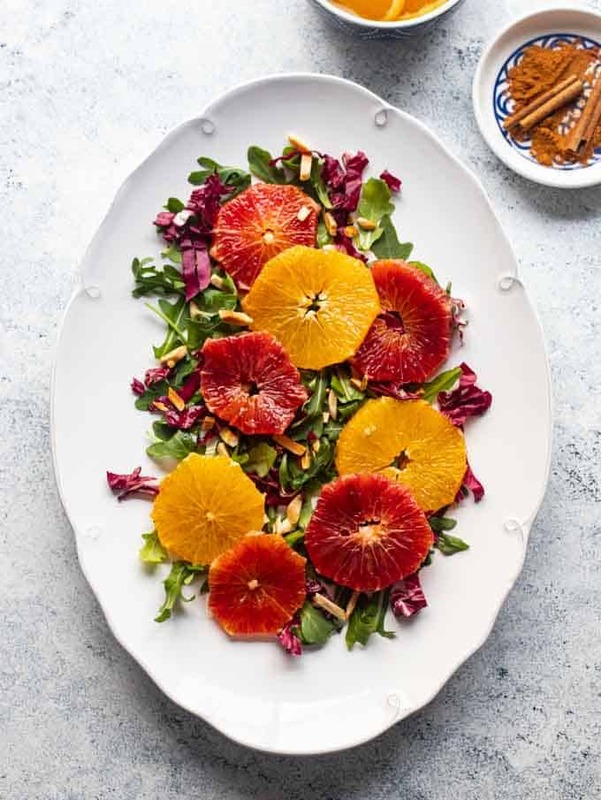 This easy citrus salad features gorgeous blood and navel oranges, radicchio and arugula. Drizzled with a scrumptious cinnamon and honey dressing and a sprinkling of toasted almonds, this essy salad recipe is my new BFF!! Have you ever made a salad that, after one bite you just knew would be one you’d make over and over again? Just like this Moroccan Carrot Salad, this citrus salad is one of those. 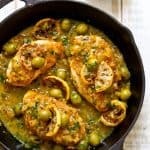 Juicy sweet citrus, bitter and peppery greens, a subtly perfumed dressing and crunchy almonds – it’s like a veritable party in your mouth and after that first bite, my mouth was doing a happy dance! 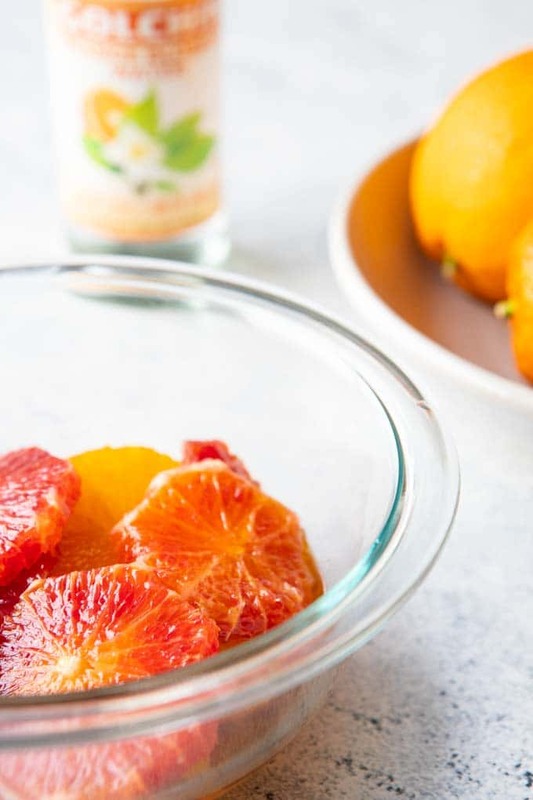 Two things make this citrus salad really stand out – the cinnamon and orange flower water in the dressing. 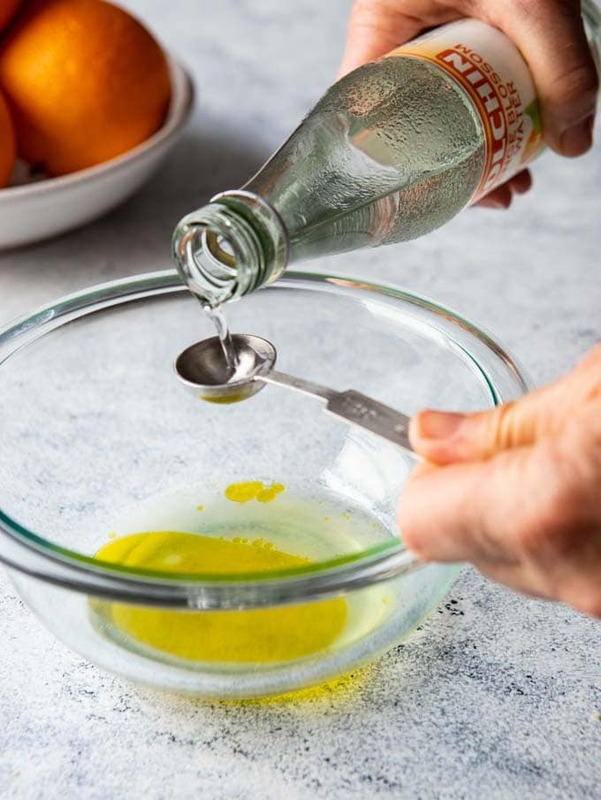 Both ingredients add this amazing, subtle perfume to the dressing, The orange flower water is totally optional, but I really recommend you try it. 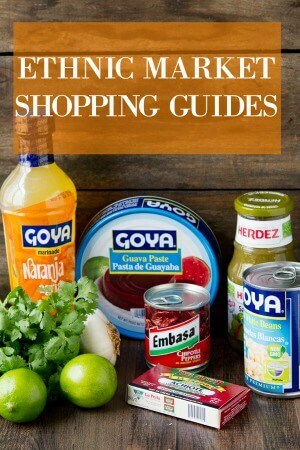 Not sure where to get it – check out my Middle Eastern Shopping guide for details and for other not-to-be-missed- items from the Middle Eastern market! The beauty of this easy salad recipe though is more than skin deep! 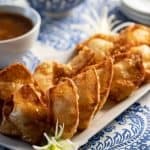 Ready in less than half an hour, it’s easy enough to whip up on a weeknight and pretty enough to serve for a party – you can prep everything ahead of time and then assemble it before serving! 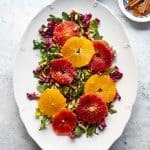 Speaking of serving – this citrus salad goes with just about anything -as a side to a creamy bowl of soup, a hearty stew, fish, chicken, or roasted beef. 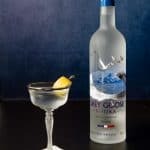 See why it’s my newest BFF??? For the salad, you’ll need peeled and sliced oranges. Here’s a quick little tutorial for you! Cut off the stem and blossom ends of the orange, trying not to cut too much flesh off! Place the cut side of the orange on a cutting board, cut between the peel and the flesh, following the curve of the orange. 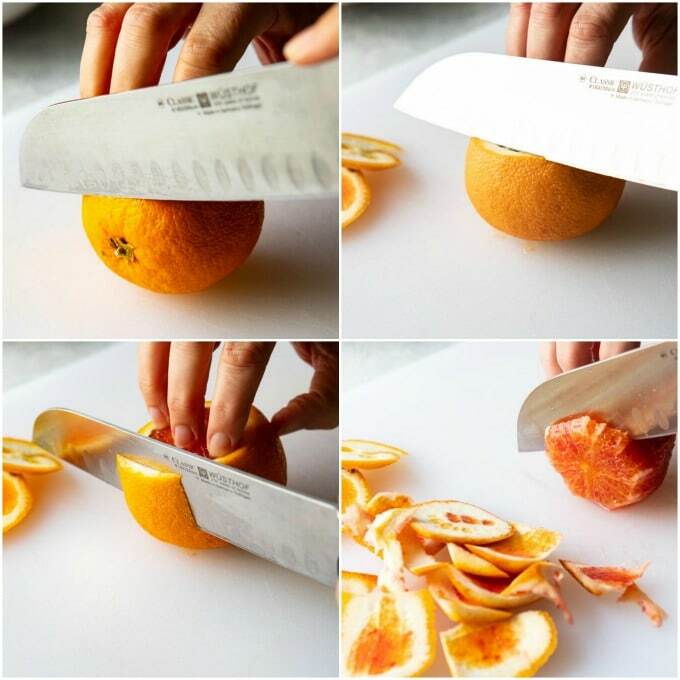 Turn the orange over and cut away any pith and peel that weren’t removed before. Place the orange on its side and slice through the orange. Step: #1: In a small bowl, combine the lemon juice, honey, olive oil, orange flower water, salt, and cinnamon. Whisk to combine. Orange flower water adds a wonderful aroma to this salad! Step #2: Add the oranges to the dressing and set aside. Let marinate for 5 to 10 minutes. The oranges can marinate for several hours so you can definitely assemble them ahead of time. Step #3: Arrange the arugula and radicchio on a serving platter and place the orange slices on top. Drizzle with the dressing and sprinkle the almonds over. 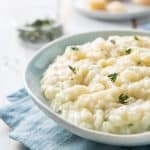 So refreshing and light I could eat it every night! 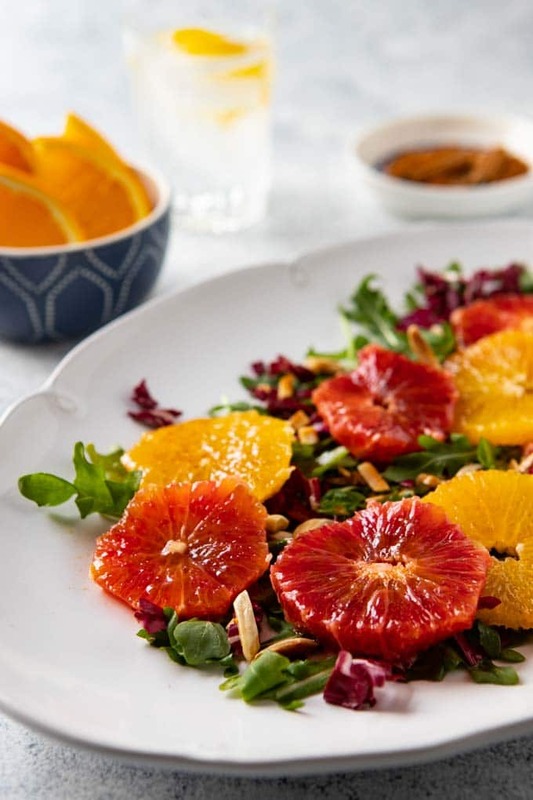 This easy citrus salad features gorgeous blood and navel oranges, radicchio and arugula. Drizzled with a scrumptious cinnamon and honey dressing and a sprinkling of toasted almonds, this "goes with just about everything salad" is my new salad BFF!! In a medium-sized bowl, combine the lemon juice, olive oil, honey, orange flower water, salt and ground cinnamon. Whisk to combine. Cut the pith and peel from the oranges and slice into 1/4 inch slices. Add to the dressing and gently stir to coat. For the salad, arrange the radicchio and arugula on a large serving platter. Lay the orange slices on top and drizzle the dressing over. Garnish with the toasted almonds. The oranges can be peeled and marinated in the dressing for several hours ahead of time. Cover with plastic and set aside. Orange flower water is available at some large supermarkets and middle eastern markets. 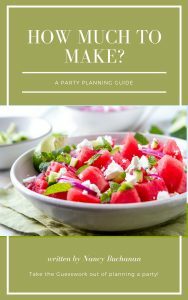 You might like to check out my guide to shopping in a middle eastern market to see what other fabulous ingredients you can find there! Such a great salad recipe and LOVING the step images. This is really gonna help me peel an orange properly! Awww… thanks Jessica! Having watched my students struggle with this, I thought doing a little tutorial would be helpful!! !